Merry Christmas from the ARK Systems Family to Yours! 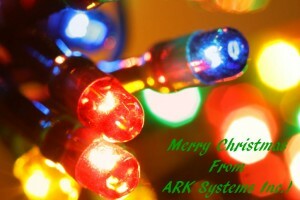 Merry Christmas Eve from ARK Systems, Inc! We would like to take a minute to wish you and yours a safe and relaxing holiday. We greatly appreciate all of our clients and vendors who have supported us over this past year and as we prepare to go into 2016, we are excited to strengthen our relationships and continue offering the top quality service and products that you have come to expect. Have a wonderful holiday! This entry was posted on Thursday, December 24th, 2015 at 9:14 am. Both comments and pings are currently closed.